Payment trends have changed significantly in the last decade and businesses now need to handle multiple new communications channels and implement exclusive, customised solutions adapted to each market sector, all without overlooking traditional payment methods’ mobility needs. To deal with this evolving scenario, Saima Systems has developed SaimaPay, a web-based tool that manages the entire payment and value-added service gateway. 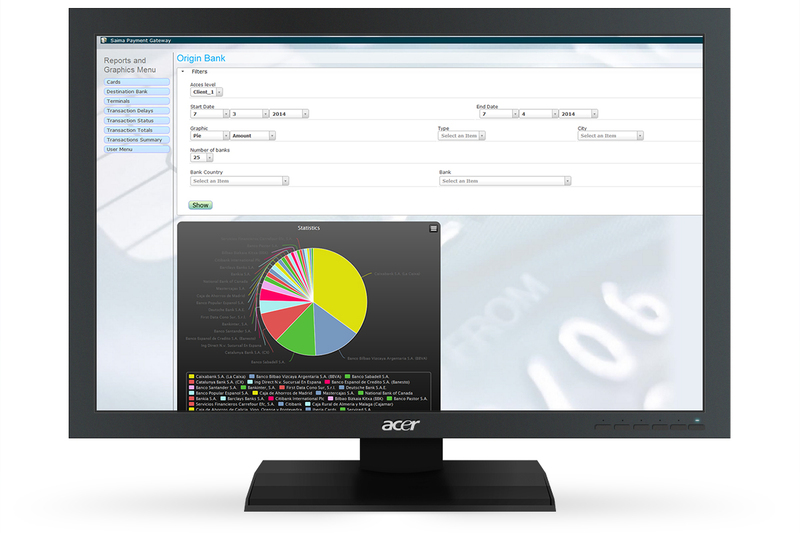 The interface provides access to huge amounts of statistical data that facilitate management and automate administrative processes. Moreover, the management tool includes all the functions a company needs and is especially suited to firms working in the retail sector. 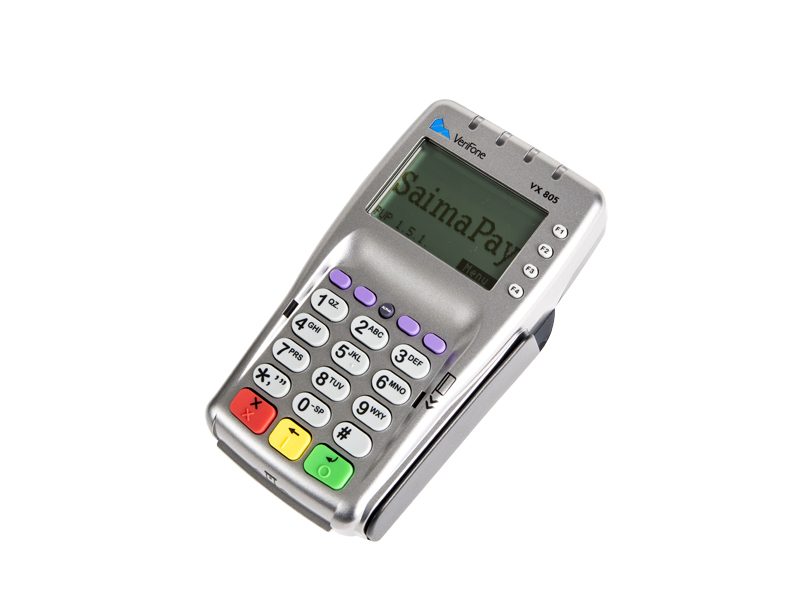 The SaimaPay payment gateway integrates fully with all existing management applications. 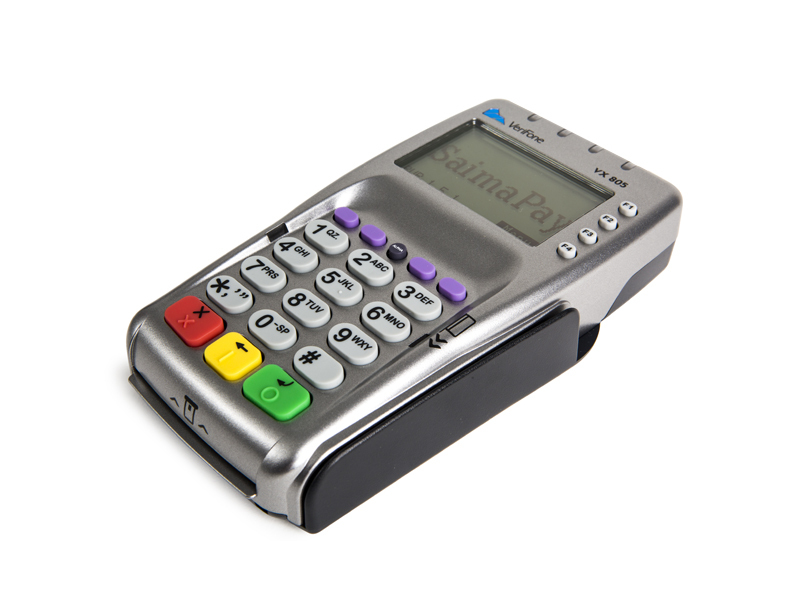 Thanks to its integration and communications modules, deploying it with POS terminals is easy, quick and comprehensive. Global telecoms leader Saima Systems owns technology and solutions that meet every payment need. Our fail-proof communications systems eliminate all risk of transaction duplication. What’s more, Saima Systems is constantly optimising processes to further streamline checkout line payment handling. Our lightning-fast transaction speed (shortest: 0.2 seconds; average: 1.5 seconds) makes us hugely faster at the checkout line than our competitors. At the same time, we facilitate business management to make administration more efficient. 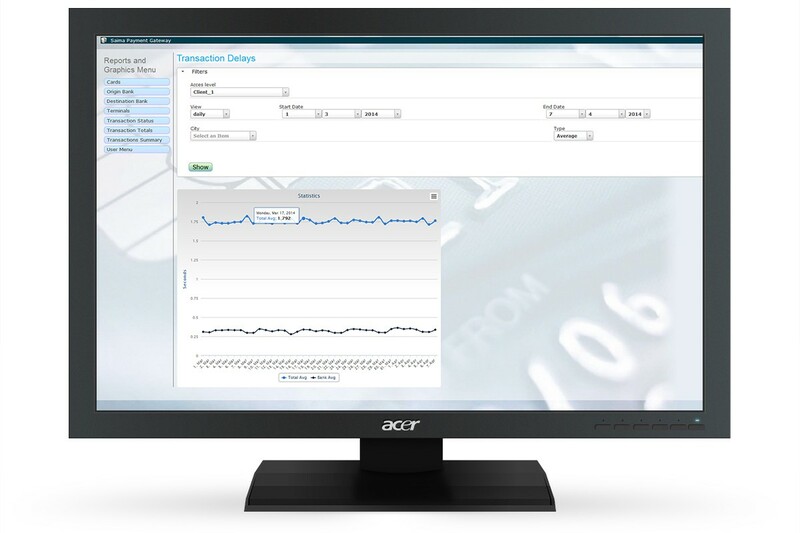 The most advanced web-based management interface on the market. Multi-company and multi-brand management allows organisations to manage all their brands' and firms' points of sale. 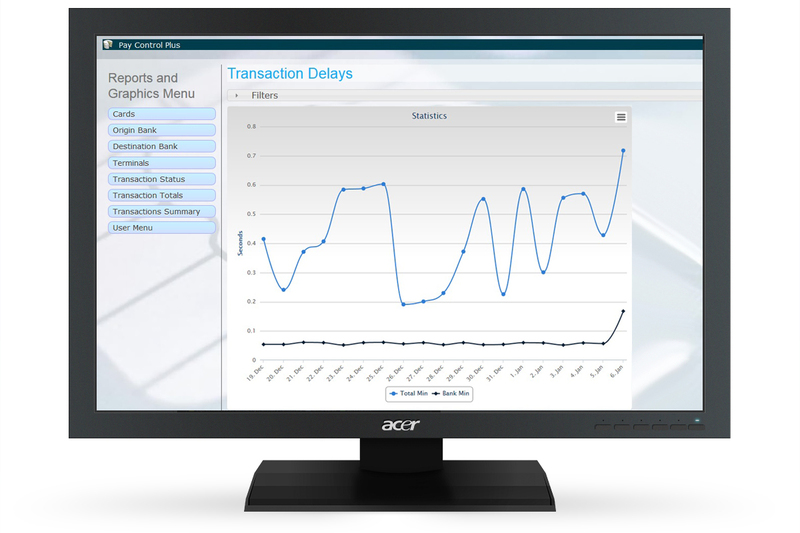 Real-time statistics on card details and transaction times. Eradicates human error on 100% of POS thanks to full system integration with the client's POS terminal management software, eliminating associated costs incurred by clients' accounting and finance departments. Fail-proof communications systems eliminate all risk of transaction duplication. 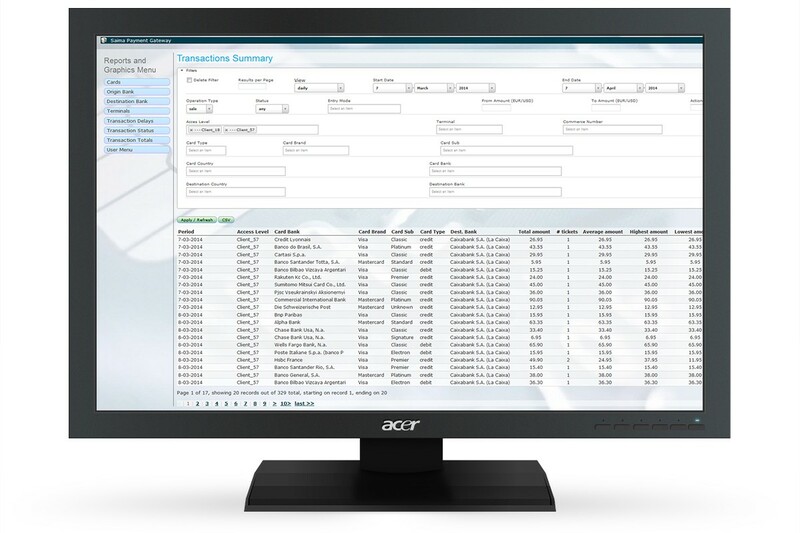 Easy integration with any POS terminal management or accounting software. Transaction speed: Every element of the process has been designed and optimised by our expert engineers to minimise response times to a matter of milliseconds, faster by several seconds than any other solution available. Web-based management: The most advanced interface on the market gives users full interaction from anywhere in the world via a username and password. Reporting system: SaimaPay generates the reports clients need in day-to-day operations, helping them get the most out of the platform and reduce the cost of handling collection data. Multi-company: Lets users easily group retail outlets under different companies managed by the same client and differentiate between them. With this function, a single client connected to SaimaPay receives differentiated, company-by-company data. Multi-client: Lets clients with various businesses or companies unify retail outlets assigned the same registration code under a single payment gateway. Also permits various registration codes assigned to the same client. Unified cash-up: The system can be configured to cash up all retail outlets centrally in a single operation and upload the data to our clients' central management systems. Accounts administration with authorising centres: The SaimaPay payment gateway permits accounting operations like balance requests and accounting closes. Digital receipt storage: Stores card payment receipts, relieving clients of the need to print, store and transport transaction receipts. Payment in instalments: SaimaPay can include a financing option that retail outlets really appreciate, allowing customers to pay for their purchases in instalments, regardless of the credit institution that issued the card. Monitoring: The SaimaPay payment gateway lets clients monitor electronic transactions and schedule them to customised date and condition criteria. 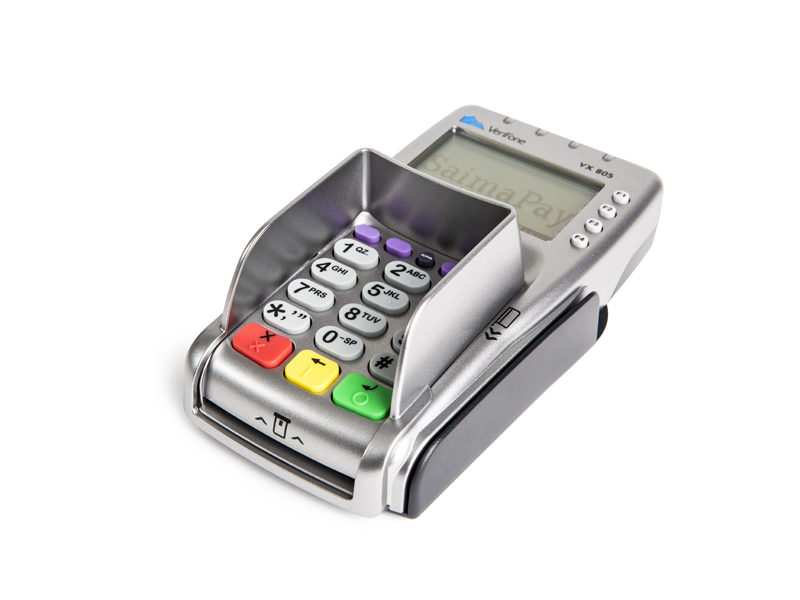 Easy POS integration: Quick and easy integration with clients' POS terminals (subject to type of integration required).